Notts County Football Club’s Owner and Chairman Alan Hardy has ‘very reluctantly’ put the club up for sale, citing a need to focus on his external business portfolio as the reason for his decision. In a statement released yesterday (Sunday 27 January), Hardy said: “After considerable soul-searching, I no longer feel I can continue as the owner of Notts County Football Club. “The truth is, my efforts to restore Notts County’s fortunes over the last two years mean my other businesses have had to take a back seat. They are now in need of my full attention. “Looking back, as a Nottingham-born man, I take huge pride in being able to say I took on the challenge of owning the world’s oldest Football League club at a time when its only alternative fate, according to my predecessor, was extinction. 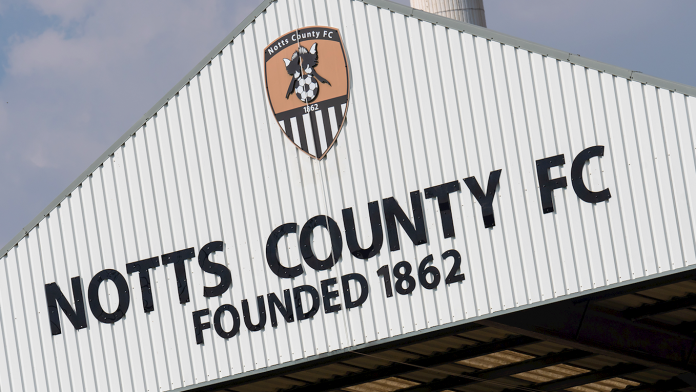 The football-related creditors had to be paid up immediately, otherwise Notts County would have ceased to exist. “Over the following 15 months we had a truly wonderful journey. “During that time we were able to double attendances, re-engage supporters and attract crowds of up to 17,000 for League Two fixtures. “As the owner, the buck stops with me. I take ultimate responsibility for our current situation. “But it cannot be said that our poor performance is due to a lack of investment, as is so often the case in business. “We are currently engaged in a relegation fight alongside clubs who have one-third of the playing budget we have allocated this season. “I have backed every manager with generous wage and transfer budgets and invested heavily in our academy, girls and ladies divisions, facilities and infrastructure. “I readily accept there are no guarantees in football but to find ourselves at the foot of the League Two table is an incredibly bitter pill to swallow. “My decision to sell the club does not mean I won’t be supporting our manager, Neal Ardley, in his efforts to strengthen our squad in this transfer window. “I am not suddenly pulling up the drawbridge, nor will I be absent from matches. I continue to support this club. “We have 17 games remaining to fight tooth and nail to save our EFL status. “Moving forward, I am sad to say the time has come for me to pass on the baton to the next owner of Notts County.